Designed for comfort, perfected for performance - push your power, strength and drive with Momentum. 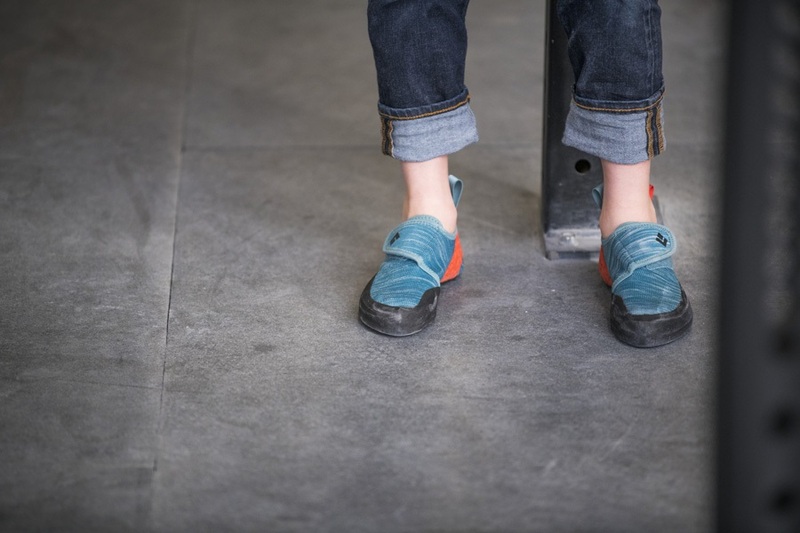 When you’re run out and staring at the crux, the most important gear you have – is on your feet. 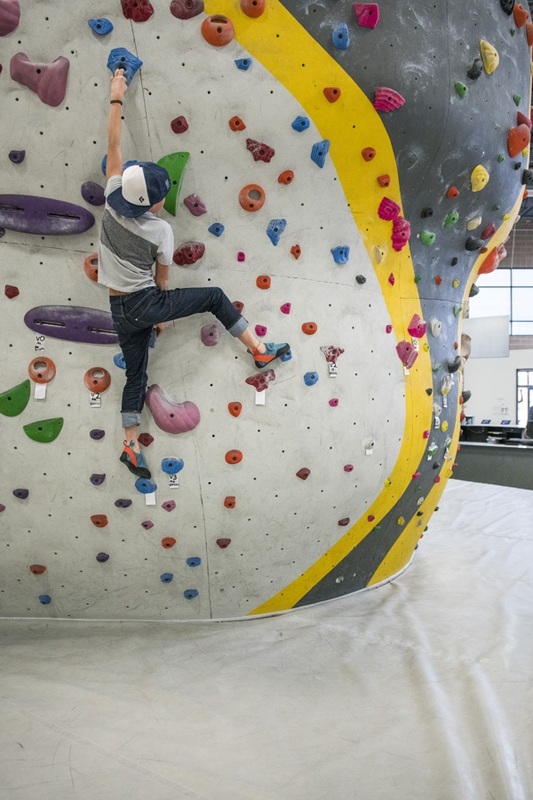 Black Diamond’s ingression into the climbing shoe market brings you the Momentum. 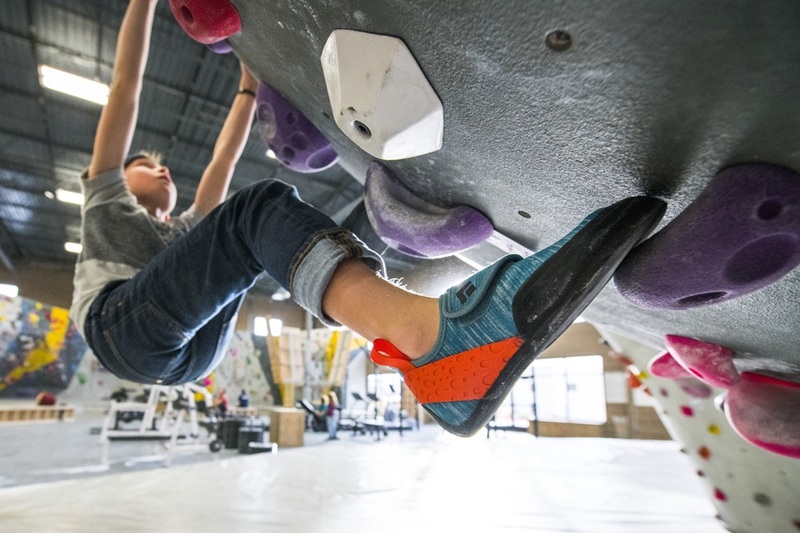 Built upon Black Diamond’s unrivalled legacy of industry leading technology, research and development, the Momentum is a climbing shoe that can deliver optimal performance with maximum comfort: whether you’re spending a whole day at the crag or crushing at the gym. 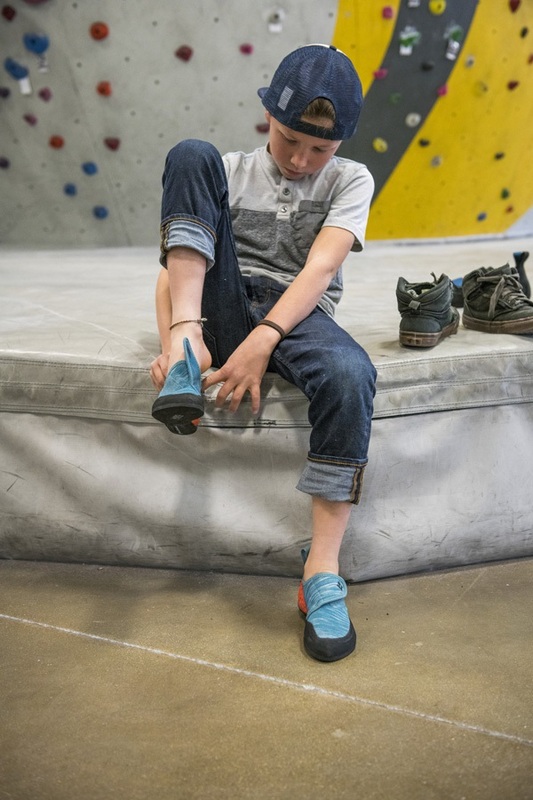 The Black Diamond Momentum kid's climbing shoes are constructed with a flat, climbing-specific last which encourages your toes to remain in a neutral position. 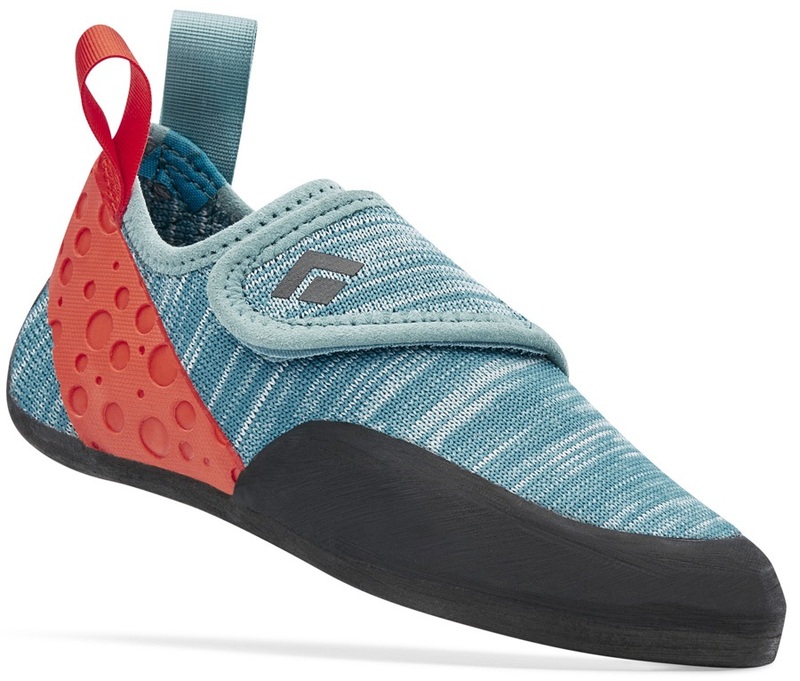 This style and fit establishes the Momentum as a comfortable shoe for beginners who are new to the sport, whilst simultaneously catering to experienced climbers who want to keep their shoes on throughout a long day of climbing. Designed with an upper fabric that consists entirely of Black Diamond’s engineered knit technology, the Momentum provides stretch where you need it, support where it matters and all around exceptional breathability, to ensure you can push your limits every session. The Momentum features durable, uniquely moulded rubber – engineered to optimize weight, streamline performance consistency and enhance comfort, additionally complimented by a soft-flex midsole for intricate sensitivity. 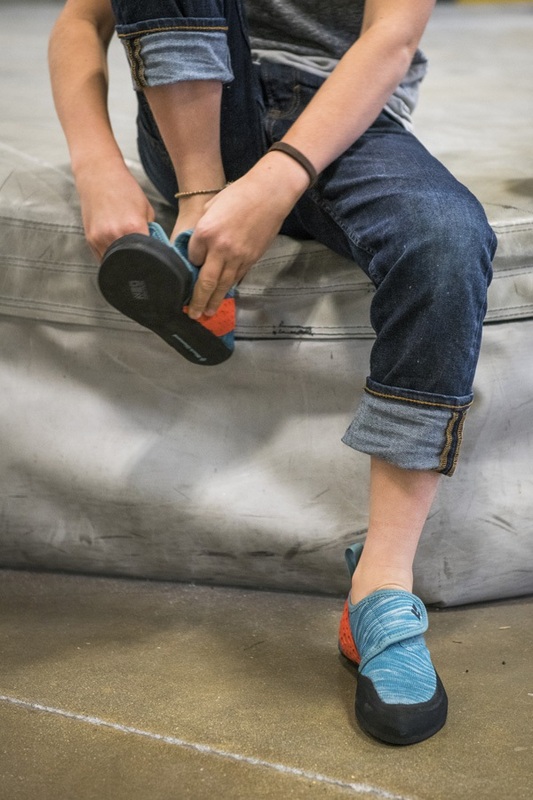 Black Diamond’s kid's Momentum shoe is a two-strap Velcro shoe that combines innovative technology with a classic, flat-last design to create an entry-level shoe that excels in all-day performance. 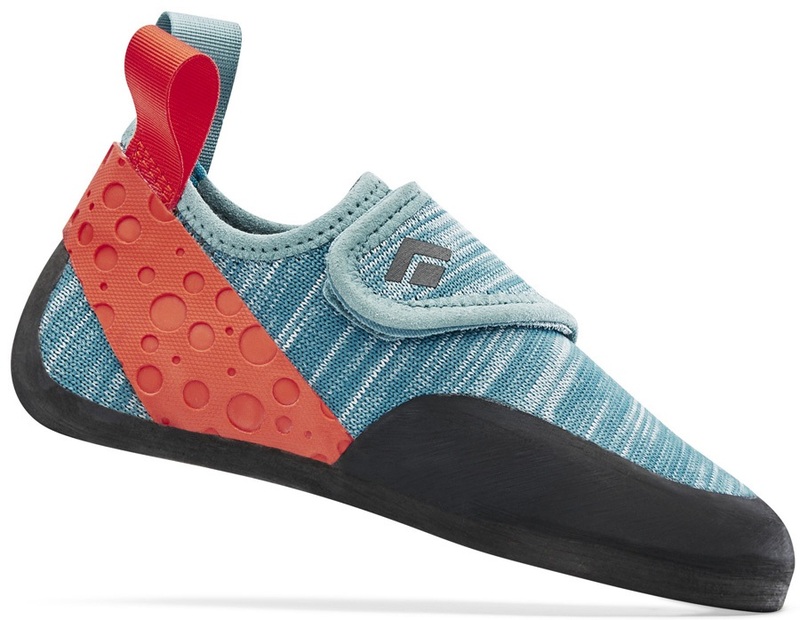 How Should My Rock Climbing Shoes Fit? 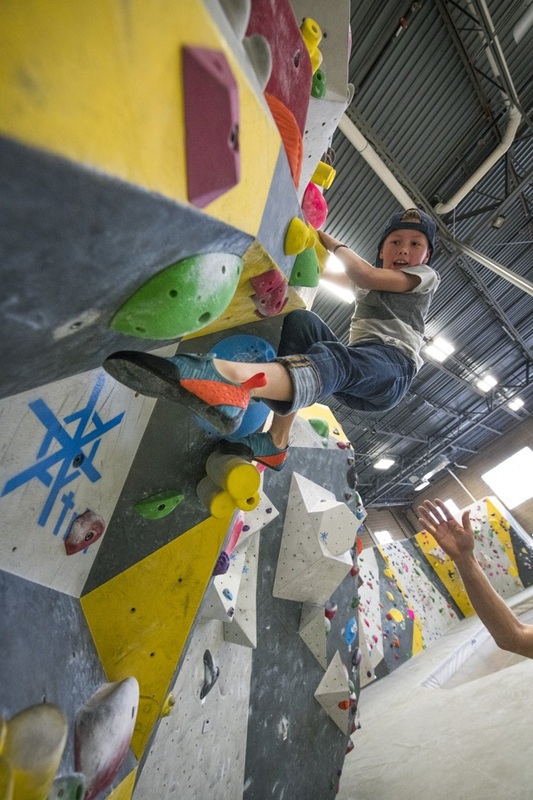 What Are The Different Types of Rock Climbing Shoes And Which One is Right For Me?